The "tilted” wine carafe matches the goblet set Toscana (art. 20185-20187). 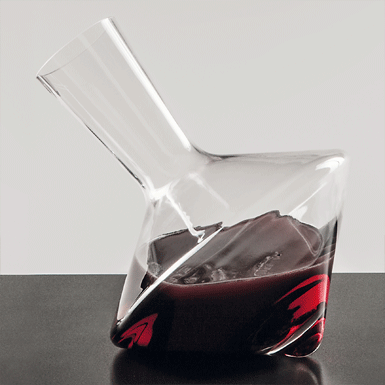 The decanter as shown in the picture contains 7 dl of wine.